Oct 06	This entry was posted in Adventure, Goodies, Infographics, My Work, Personal, Te Araroa, Walking by cookie. Bookmark the permalink. Thanks a lot for all your tips ! I’m preparing the Te Araroa for Next Year and what you share is very useful to me. Great maps, I like these more than the TA sites; however, I’m having trouble printing them out. I’m in the US and only have 8.5″X11″ or 11″X17″ paper. When I open the map files, they are opened in internet explorer and when I try to print them, they keep getting cropped. Any suggestions? Cookie – THANK YOU for the incredible maps. I’m convinced that they are better than the official maps (& easier to use) and will be using them in my upcoming thru-tramp of the TAT. As Kevin mentioned above, there has been changes to the route since you hiked & filling in the current track notes on the maps is highly advisable. Hi. I live on the big island and wondered if you did the trek and used the maps. Thanks! Thank you so much for the time and effort that you put into these maps, but mostly for not being selfish and publishing them for us all to use! I’m flying out to NZ in 2 days to begin the trail and have printed your maps up to use for navigation. For anyone considering using these maps on the trail, there have been a fair amount of changes to the official TA route since Cookie made these maps. That being said, I’m going to be using his set because they are more clearly laid out than the “official” set on the TA website. Anyone using Cookie’s maps needs to take the time to reference them against the official set and to take note of the route changes. Most of the changes take you off of the road and put you on a trail. Less road walking is a good thing! I have also read through the track descriptions on the TA site and added notation throughout my set of Cookie’s maps. Doing this will be well worth your time!! The maps alone will only get you so far; the track descriptions provide a great deal of important information. These maps also have grid reference coordinates scattered throughout in little blue numbers, and these can be used to check against your GPS to see where you are. However, not every map has both the northing and easting numbers visible, but if you put some effort in to lining up your maps and transferring the correct numbers from one map to another, you will be set to navigate with all of these maps through grid coordinates. These maps are an amazing resource but I just wanted to make sure that people know that simply printing these up will not be adequate. But once you reference them against the TA website maps and descriptions, you’re gold! Thanks Cookie! Is there anywhere on your sites that you have a gear list. I watched your continental divide documentary and love it. I saw that your bag looks the same as the one your using on the te Araroa trail. And was wondering what bag it is. And also how you guys got your bags to be so light. I might have to go a bit heavier than you seeing as I dont quite have the money to go that light. But Its all good. Im so excited for the adventure. I hope this finds you well and that NZed is treating you the same. Much love. Wow, awesome job on the maps Simon, your a legend! I’ve been following you and Nickys progress and it looks like your having an awesome time. Hey, thanks for the awesome maps. We are starting about a month after you guys. Hope it is all going well. Hey Simon when do you plan to start the trail? Hey Steve, on Friday the 22nd, just starting to make our way up to the far north now! 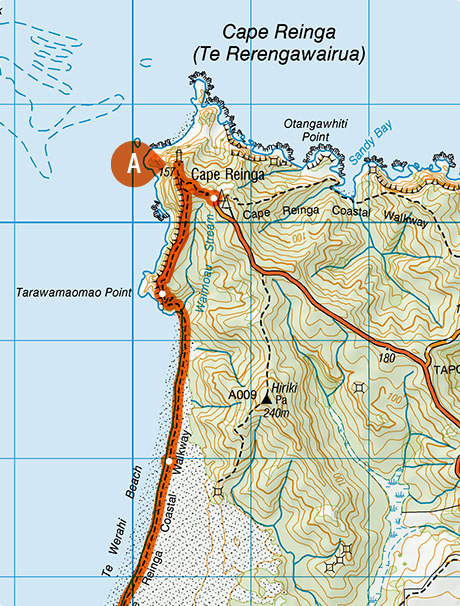 Kiramiko – The maps are available to download from LINZ (Land Information NZ) as he mentions in his post. Where find you yours maps?